Due to the "Death of Darkseid", Billy's connection to the gods that previously blessed him has been lost. 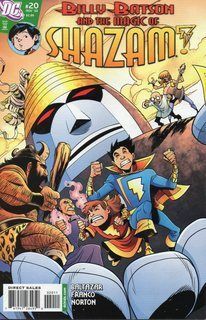 In desperation the Wizard finds new gods (well not The New Gods, well one is and another is an old god, like older than the other regular gods) and asks their help but one betrays him is trying to take his lightning staff in an attempt to gain the powers of the other Five...but who would be so diabolical? Do you feel Fancomic-y? Well, do ya? Content Warning! Violence against Women! A young orphan takes a magic train and meets a powerful wizard who says he's chosen for a great destiny. No, the other orphan. Namely Billy Batson. 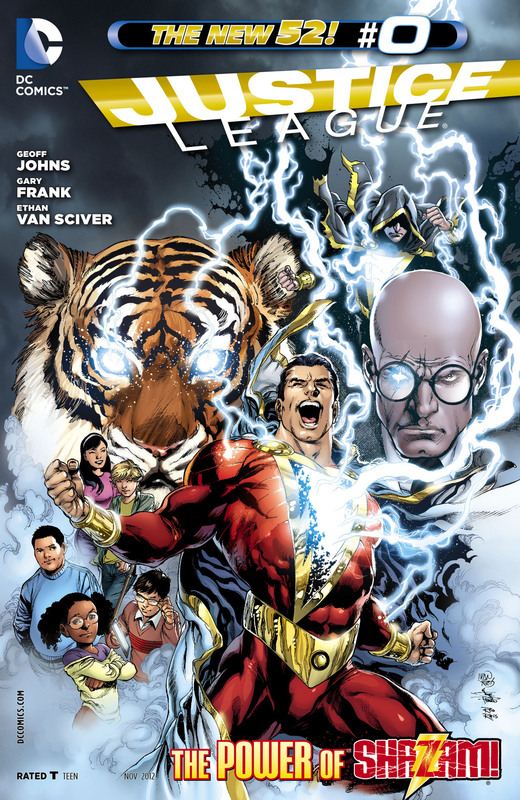 After the cut, some pages from the 1994 POWER OF SHAZAM graphic novel and some pages from issue #4 of the POWER OF SHAZAM series. Current Music: "Have Gun, Will Travel"--My Son Must Die! 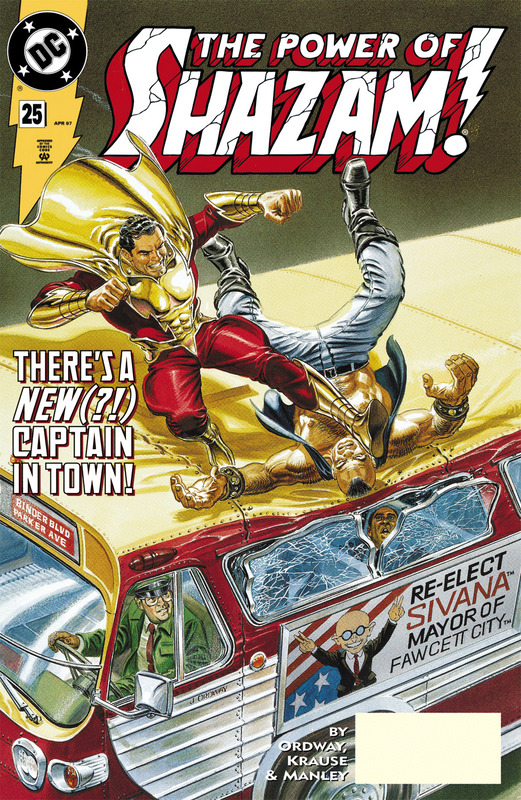 Scans from Shazam - The Monster Society of Evil. I love this mini, it's adorable. Written and drawn by Jeff Smith. As requested, the end of the Black Marvel storyline from JSA.